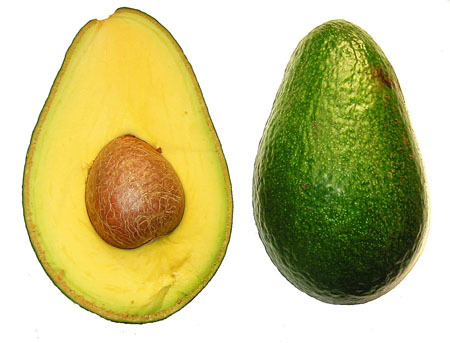 Murashige avocados mature between June and August and produce large, green-skinned fruit. They can be difficult to harvest, as the stem easily pulls out of the fruit. Murashige avocado trees produce well. Murashige avocados weigh in at 24 to 32 oz. and are about 20 percent oil. If in Hawaii matures between June and August in So. Florida would probably be 2-3 weeks later. At the peak of our avocado season when prices are at their lowest. My interest in this is for my own consumption and family and friends. I found some pictures of the tree and early fruit taken by Carol Hart. I have no idea how to contact her but I'm linking to her album and giving her full credit. Go to the Blog page and see two postings on my own specimen. I gather I'm 36 month away from tasting it. 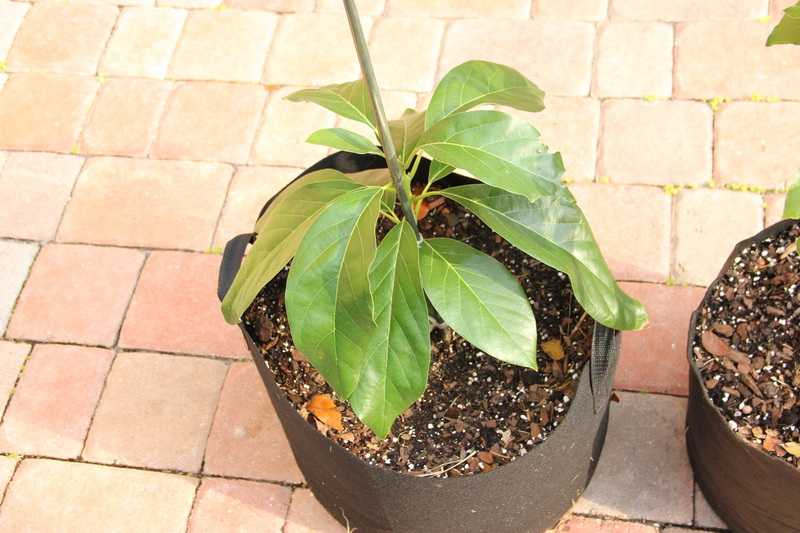 Up date May 13, 2012: My Murashige graft is doing very well. I up potted to 5 gal fabric pot and is building roots and will flush again soon. I'm confident that by the end of the year I'll have bud wood to top work a tree in the grove. See picture below. January 13, 2013: My Murashige tree produced several pieces of bud wood to top work a tree in the grove this week. February 14, 2014: I have not reported on this tree for a while but is doing real well. It is big taking into consideration is one year old since it was grafted. It is pushing something, not sure if flowers or leaves or in some cases both.. In a few more days we'll know. I took some pictures today. February 27, 2014: Well, the tree has no flowers is just pushing vegetation. One or two flower around. Some times this is better on the first year. February 26, 2015: A year since last post. The tree is bigger and this, its second flowering post top working is crucial. Ready to explode with flowers. April 4, 2015: This tree has exploded in one of the largest flower blooms I have seen. Seems like it has quite a few days left. See pictures, tree is in the center. I hope it sets some fruit. I don't think this will be a June July avocado here. May 18, 2015: There is some fruit in this tree. Not a lot for a second year flowering on a 10 year old top worked tree. Seems like some of the Hawaiians are not producing a lot of fruit here. The tree itself is doing and growing well. September 18, 2015: I'm very exited this tree is growing its fruit. Not many but is nice and clean. No idea when to pick. I will monitor closely and watch for any drop. The fruit took a picture of today has to be in the 15-16 oz range. Taking in consideration it is a summer fruit in Hawaii, it may very well be ready. What to do? Is getting very dark green.....I will probably pick one before the end of the month. November 23, 2015: The 10 or so fruit hanging on the tree seemed solid, clean and bright. Seems like we have a "late" variety, definitely end of the year. I picked a fruit that looked large compared to the rest. It was 26.0 oz or a pound and a half. 737 grams. I wanted to check the dry weight to see what is going on. I was amazed at the small seed this large avocado has only 2.0 oz. under 8% of the total fruit weight.